Some people think they’re being selfish to put themselves first. It just sounds really selfish. You can’t very well help anyone else if you’re not getting any oxygen! In my world it’s pretty similar. You can’t help your loved ones if your health or mindset has deteriorated over the years. Once that happens, unfortunately, you become part of the problem. Instead of being the “rock”, you become the burden. For 2019, I’m asking you to put yourself first. Stop letting life get in the way! Let’s start in January and see what your life looks like by summer. I suspect you’ll be amazed! We will be DONE in June. Looking great for summer! A weekly “Q&A” call to answer your most pressing questions. Cost: $575.00 – for 6 full months! 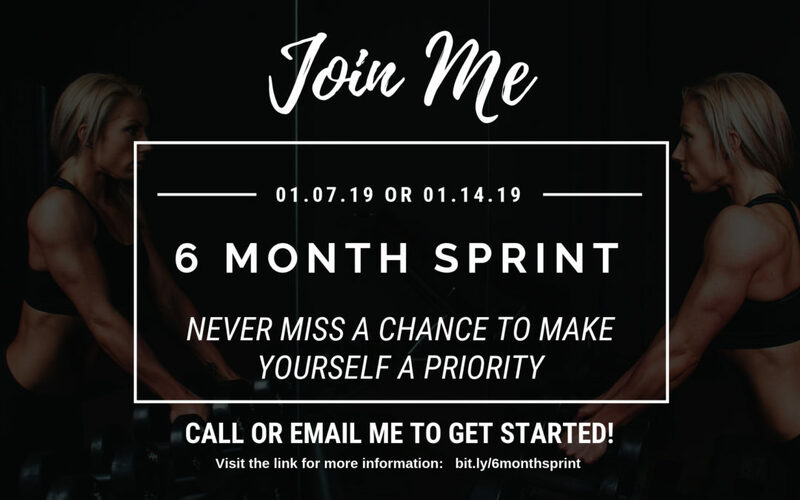 There are two start dates: January 7th or if you need another week to be ready – January 14th. What vision pops into your head? Well, that’s where we’re headed. I’ll be your coach for every step.